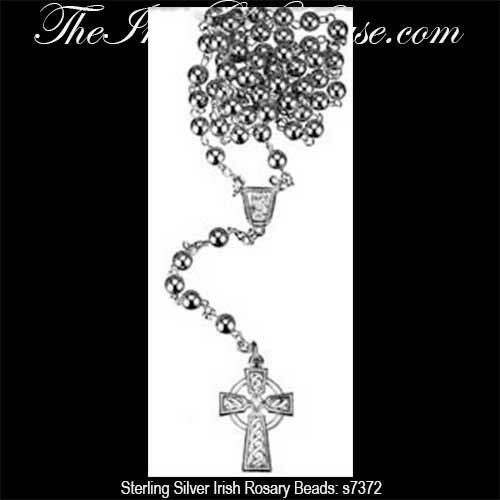 These Irish Rosary Beads has been hallmarked sterling silver by the Irish Assay Office at Dublin Castle in Ireland. This sterling silver rosary is complete with an embossed Celtic cross charm that measures 5/8" wide x 7/8" tall. These Irish rosary beads are 5 decade long and they are made by Solver Jewelry in Dublin, Ireland. The Irish rosary is gift boxed with a Celtic cross history card, complements of The Irish Gift House.